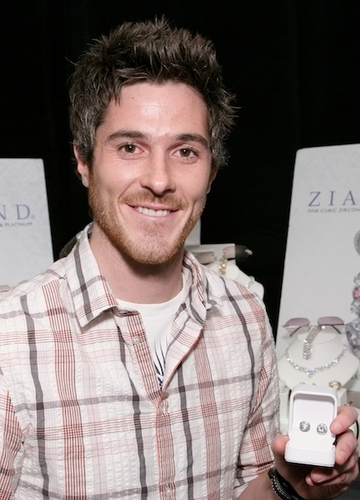 Actor Dave Annable is all smiles pictured with his Ziamond cubic zirconia cz stud earrings in 14k white gold. Ziamond Cubic Zirconia CZ Jewelers features a variety of stud earrings in many shapes that include round, oval, princess cut, marquis, heart, trillion, asscher, emerald cut and cushion cut. They are offered in 14k gold, 18k gold and platinum settings.